Today's post is brought to you by Kailey of Mermaidens. With the amount of internet friends we have in common it was inevitable that Kailey and I would cross paths. And I'm glad we did because Kailey has a great style that extends to the way she presents her blog and she's a real sweetheart. I can certainly tell you this film is now on my to-watch ASAP list! 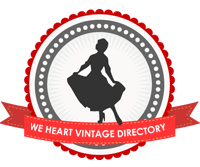 One thing I love is the 20s and 30s as seen through the nostalgic eyes of the 1970s. 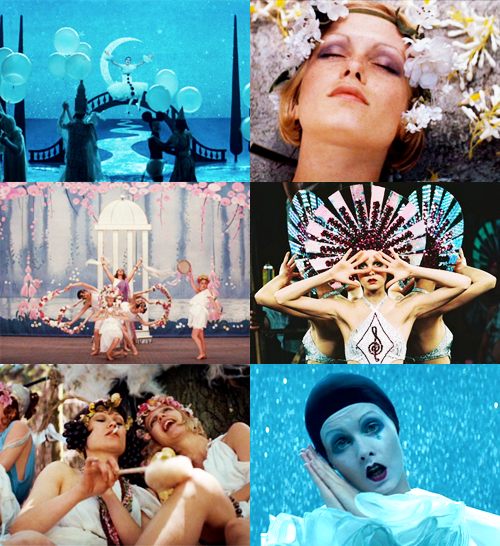 After 50-60 years, a rose-colored haze had settled on the era where the Charleston and flappers were popular, and movies like Cabaret (1972) and Ken Russell's The Boy Friend (1971) served as a love letter to the Roaring Twenties. 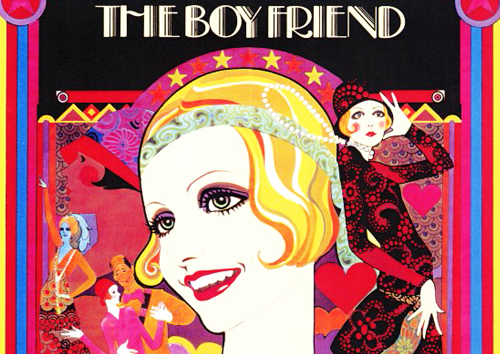 The Boy Friend centers around a group of performers who are desperately trying to pull off a good show despite their lack of funds, having to use their timid understudy (Twiggy) for one of the main roles, and overall run-down theater as a famous movie director sits in the audience and imagines their modest musical numbers into show stopping ones that are directly inspired by Busby Berkeley. I first heard of this movie in a kind of obsure musicals book when I was about 12, which let me to look for a copy everywhere (everywhere being limited to Netflix and my library haha), and when I finally discovered it on Youtube, it didn't matter it was the edited down version or that the quality wasn't very good, I was absolutely enchanted by Twiggy (acting, singing, and dancing! ), the costumes (particularly her Poriet outfit which I am going to try to recreate! ), and the adorable "I Could Be Happy With You" musical number. If you can find a copy of this film, I would definitely recommend watching this hidden gem of a movie! I think I need to try and track down a copy of this movie. It sounds so enchanting!